We realize that although we deal with the ins and outs of child support, custody, and other family law matters on a daily basis most people who are facing a divorce or have already had one do not. We realize many people may be thinking, what do I need to know about child support? Since we have many years of experience with family law and child support we made a list of seven things we think you should know about it. 1. Child support is, for tax purposes, excluded from income. This means that if you are receiving child support, you don’t have to pay tax on what you receive as income. Since spousal support is considered income, if you have the choice between taking more money for child support and less for spousal, it can be advantageous of you to do that. 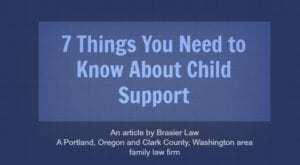 Most states, Oregon and Washington included, have a calculator designed to tell you what child support should be. Child support is determined by a formula, where you included everyone’s incomes, health insurance costs, daycare costs, and other factors and it just gives you an answer. It is important to remember these are only guidelines, please check with your custody attorney about your actual amount. 3. The number of overnights impacts child support payments. In Oregon, the number of overnights often have a huge impact on how much child support is paid. This can lead to some ridiculous fights between the parents where one person spends a lot on attorney fees to try and get just a few more overnights each year hoping it will reduce the child support they owe. 4. The calculated child support amount is not locked in stone. You can always ask a judge to do something different than what the calculator shows, if you have a good reason. A good reason would be something like the special needs of a child. A bad reason would be “my cell phone bill is too high, I don’t have anything left for child support”. To read more about what exactly child support is expected to cover and go towards see this article. 5. Modifications to child support can be requested with changes to income. Child support can be modified any time there is a substantial change of circumstances. For instance, if you lose your job, you should file to modify child support. 6. Child support cannot be changed by simple agreement. Parents have a child support order requiring a payment of $1,000 a month. One person loses their job, so the parties agree to reduce child support to $400 a month. Two years later the person receiving child support gets mad for some reason, and decides to collect the full $1,000 that was owed by the court order. The agreement that was reached is almost completely meaningless in that situation, they get to collect the full $1,000. What this means is, if you ever need to change child support, do not just reach an agreement, even in writing, with the other parent. Go get a new court order. 7. Back child support only happens when paternity had never been established before. You can only get back child support for cases when paternity has never been established before. What this means is, if both parents listed themselves on the birth certificate, but never lived together, paternity is established even if there is no child support. When the child is 2 years old, the primary parent cannot go to court asking for the other parent to pay child support for the last 2 years. However, if the parents never established legal paternity (fatherhood), then they could be required to pay back child support. These are just a few of the things that are important to know about child support, and we always recommend you check with your custody attorney before making any changes to your parenting plan or child support. 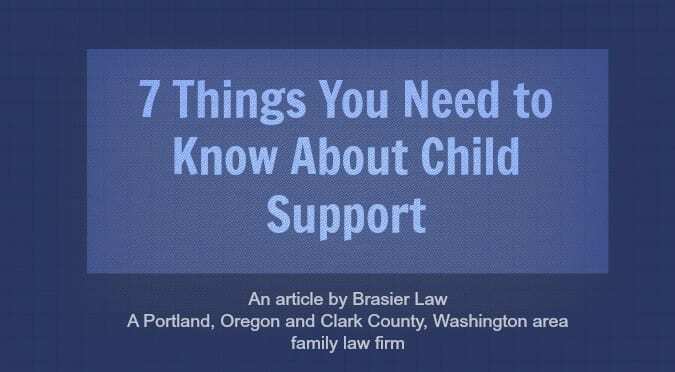 We hope you found this helpful in understanding some important parts of child support. If you would like to know what you should know about spousal support visit our article 7 Things You Need to Know About Oregon Spousal Support. 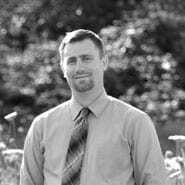 Tom Brasier is an experienced divorce and custody attorney working in the greater Portland, Oregon area and Clark County, WA. Brasier Law is a family law firm based in Portland, Oregon. You may contact us at 1 (503) 844-4777 or by using the contact form below.